Uber has built a massive empire by offering a convenient alternative to taxis, but the company could take its business model a step further by replacing its fleet of human drivers with automated self-driving cars. Speaking at Re/code's Code Conference on Wednesday, Uber CEO Travis Kalanick confirmed that using driverless cars could help further reduce customer costs. Asked what he thinks of self-driving cars, Kalanick responded, "Love it, all day long," Business Insider reports. He went on to explain why driverless cars make good business sense for the company. "The reason Uber could be expensive is you're paying for the other dude in the car. When there is no other dude in the car, the cost of taking an Uber anywhere is cheaper," he said. Won't Uber drivers be left without jobs, though? That's one question we still wonder, especially since Uber recently patted itself on the back for providing up to 20,000 new jobs per month. Plus, who will provide the new vehicles? We're guessing the company would look to Google, which unveiled a new driverless car with no brakes or steering wheel earlier this week. Google co-founder Sergey Bring also hinted at a potential deal with Uber yesterday at Code Conference, saying the two companies could work together at some point. 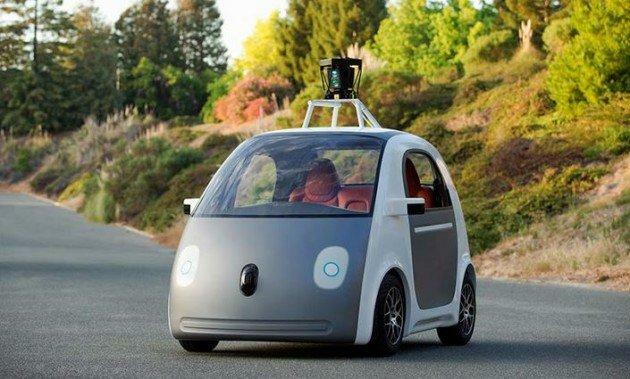 Combining Google's self-driving car technology with Uber's business model could change transportation forever. Instead of driving your own car everywhere or shelling out for an expensive car service you could simply hail a driverless car on your phone and ride to your destination. Of course, there's no guarantee Uber and Google will team up any time soon, but both companies are clearly interested in working together in the near future and that's enough to get us excited.